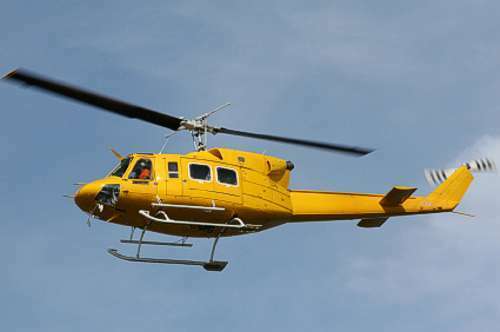 The Bell 212 helicopter is extremely versatile in mission profile and operational parameters. It can be flown from a hover up to speeds of 120 knots. Standard configuration allows for mission equipment plus equipment operators and one or two pilots. However, with the mission equipment removed, seating for up to 13 crew members may be installed. The Bell 212 is transportable on cargo airplanes for relocation to distant work sites and international operations.